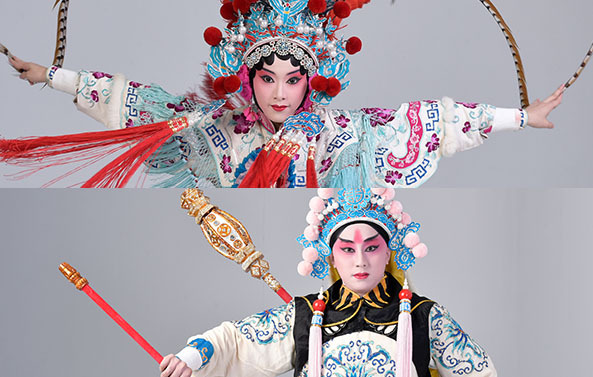 Taiwan Youth Troupe of National Taiwan College of Performing Arts is founded in 2016, aiming to promote local Hakka and Taiwanese traditional art and culture. The members include students in school, graduated students and our talent alumni. The Troupe would like to utilize the resource from school and the industry through a complete mechanism. By giving students chances to accumulate practical experience and to cooperate with experts in the industry from each performance, we expect to create more opportunities for them to go further. Jade Emperor's niece, San Sheng Mu, married a failure scholar, Liu Yang-Chang and had a kid named Chen Xiang. When Sun Wu-Kong sneered at Er-Lang on Ju Xian Bridge, Er-Lang caught his sister, San Sheng Mu, and locked her under Tulip Mt. of Mt. Hua. She was tortured by Wind, Rain and Fire. After Chen Xiang grew up, he had a hard fight with his uncle. With the hatchet given by Sun Wu-Kong, he finally split Mt. Hua and rescued his mom. Born in 1997, he is a junior who enrolled at Dep. 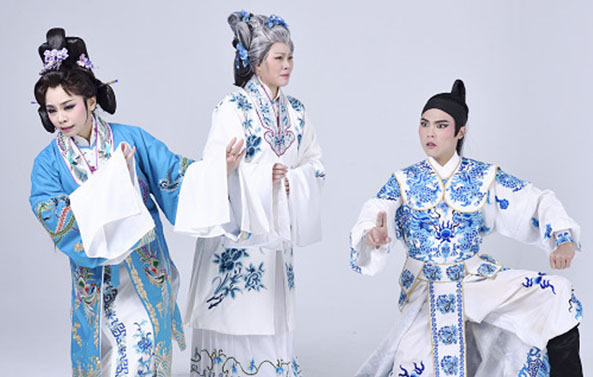 of Hakka Opera, National Taiwan College of Performing Arts in age 12. Studied under Li Wen-Xun, Huang Jun-Lang, Gu Yi-Fan, Hu Chen-Yu. 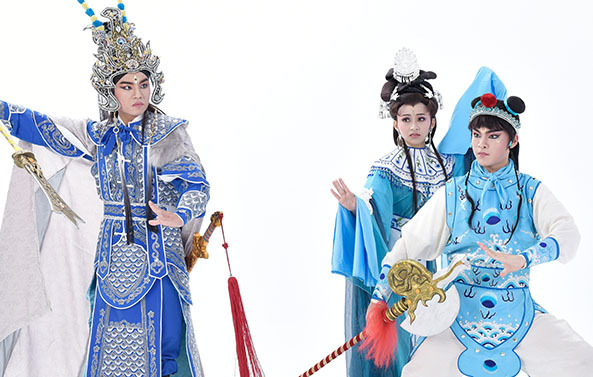 The repertoire: At the Crossroads, Two generals, Death of Chou Yu, Fight with Azure Dragon At the Crossroads, Two generals, Death of Chou Yu, Fight with Azure Dragon ,etc. Born in 1998, she is a freshman who enrolled at Dep. of Hakka Opera, National Taiwan College of Performing Arts in age 12. Majoring in Dan(female lead), she had performed in Penglai Treasure Hunter - Huang Long (produced by Hakka TV), Cowherd and Vega, Story of Mt. Hua, 2017 Taipei Universiade opening ceremony ,etc. Born in 2001, he is in the 2nd year of high school, who enrolled at Dep. 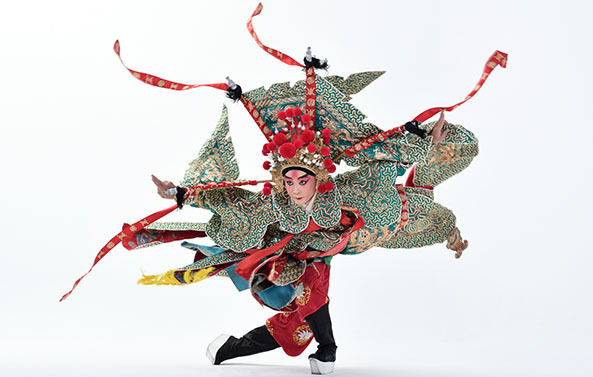 of Hakka Opera, National Taiwan College of Performing Arts in age 12. 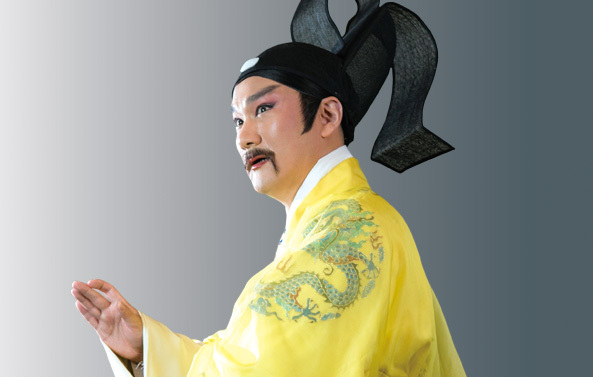 He had performed in Penglai Treasure Hunter - Huang Long (produced by Hakka TV), Cowherd and Vega, Story of Mt. Hua, 2017 Taipei Universiade opening ceremony , etc. Today the number of：54人 / The total number of visitors：131,016人 / Last Updated：2019/04/19.